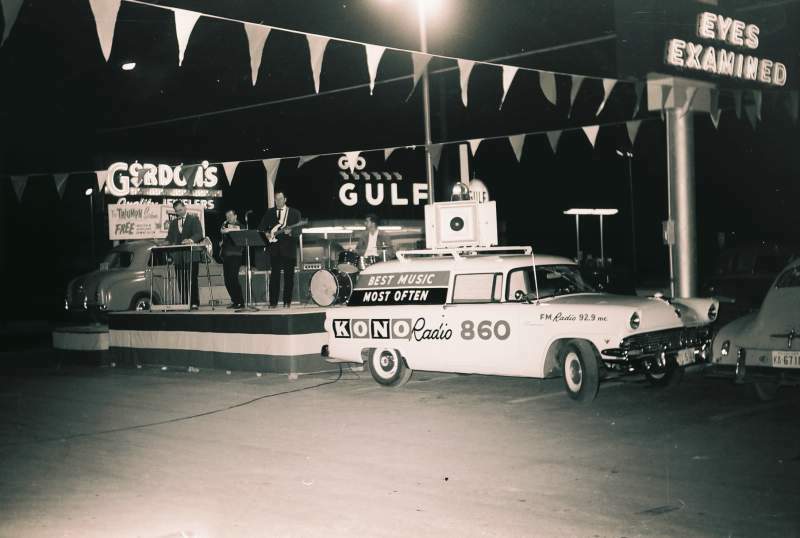 The KONO Sound Truck (car/station wagon) on location at a Texas State Optical. 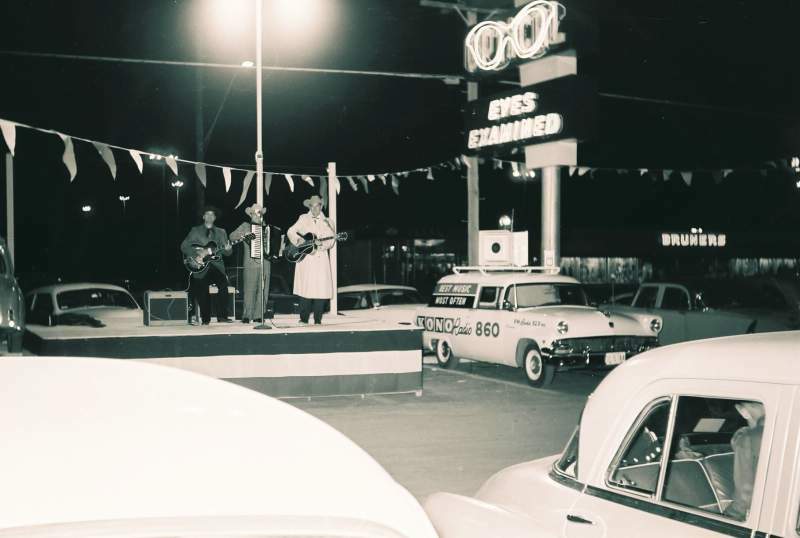 With Bruners & HEB in the background, the location is Fredericksburg Rd at Hildebrand near West Ave.
Two different bands are shown. 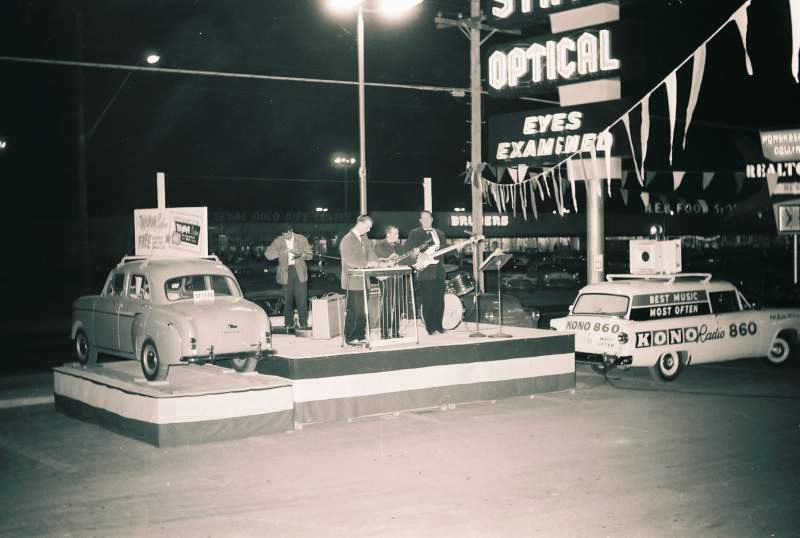 The vehicles place the event(s) in the 50s. Note: "FM Radio 92.9" on the KONO Sound Truck. Editors note: Thanks to the sharp eyes of Liz Houston...If you look closely you can see a Texas Gold Gift Stamps Redemption Center in the background of the middle photo above next to Bruners. For non-Texans (like me) you should think S&H Green Stamps. Also...Liz confirms event the location. Copyright 2016 by Newton Mitchell & SanAntonioRadioMemories.com – All Rights Reserved.